MOD Squad Dental-Braces-When? What? Why? Though we can enhance a smile at any age, there are optimal time periods to begin treatment. Beginning treatment at these times ensures the best result and the least amount of treatment time and expense. Dr. Friedman recommends that the initial orthodontic evaluation should occur at the first sign of orthodontic problems or no later than age 7. At MOD Squad Dental, we do an orthodontic exam at every child’s first visit and at each and every checkup visit thereafter. Early evaluation provides both timely detection of problems and greater opportunity for more effective treatment. Prudent intervention guides growth and development, preventing serious problems later. When orthodontic intervention is not necessary, Dr. Friedman will carefully monitor growth and development and begin treatment if and when it is ideal. Why is age 7 orthodontically important? By the age of 7, the first adult molars erupt, establishing the back bite, and the front teeth begin to emerge as well. During this time, we can evaluate front-to-back and side-to-side tooth relationships. For example, the presence of erupting incisors can indicate possible overbite, open bite, crowding or gummy smiles. Timely screening increases the chances for an incredible smile. Orthodontics is not merely for improving the aesthetics of the smile; orthodontic treatment improves bad bites (malocclusions). Malocclusions occur as a result of tooth or jaw misalignment. Malocclusions affect the way your child smiles, chews, brushes and flosses and feels about her/his smile. 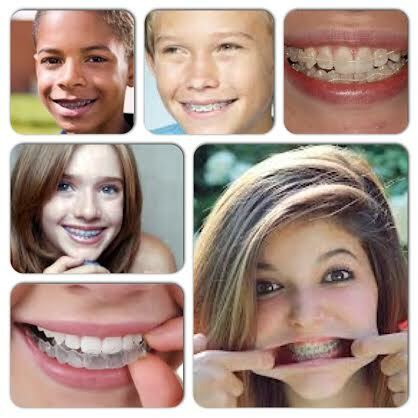 Ultimately, orthodontics does more than make a pretty smile – it creates a healthier child and adult. Two-phase treatment occurs when a patient is evaluated and needs intervention before starting regular orthodontic treatment, resulting in two separate treatment periods. The first phase of treatment, Phase I, usually occurs when the patient is a child and still has his or her primary teeth. The Phase I treatment plan can include preventive, interceptive or modifying treatment. Orthodontic appliances may be placed to prevent a problem from occurring, to correct a current problem or damage caused by a habit such as a thumb, finger or pacifier, or to help direct jawbone growth. Various conditions related to tooth alignment, gums, jaws and facial asymmetries can be corrected with Phase I treatment. Another common added benefit of Phase I treatment is less Phase II treatment time. Typically, Phase II treatment is ‘normal’ orthodontic treatment. This involves placing braces on the patient once his or her permanent teeth have erupted. The braces straighten the permanent teeth and finish correctly aligning the patient’s jaw. Patients who have undergone both Phase I and Phase II treatment are more likely to have lasting results. Our goal for your child’s two-phase orthodontic treatment is to give your child correctly aligned teeth that provide ideal jaw function and a great smile!